Being also currently obsessed with watercolor, the idea struck me to foil watercolor paper and then watercolor in my images! 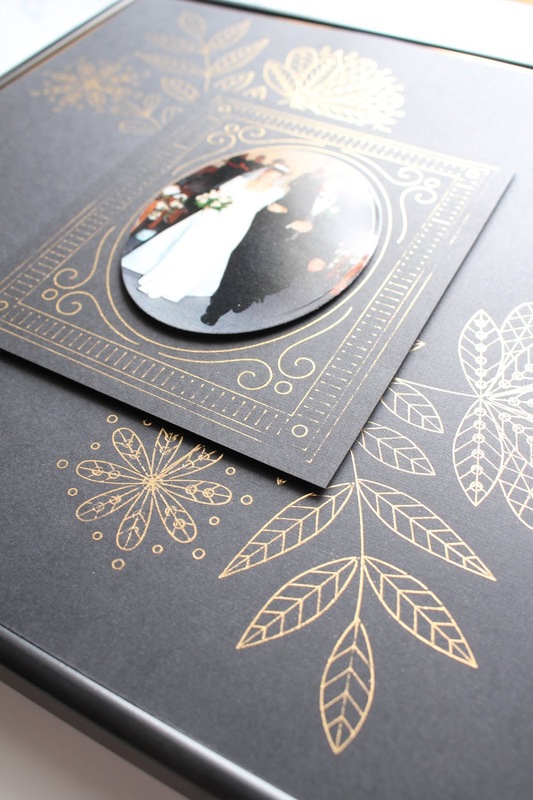 Which is a PERFECT use for the open images that are contained in all the digital drives available for the Foil Quill! 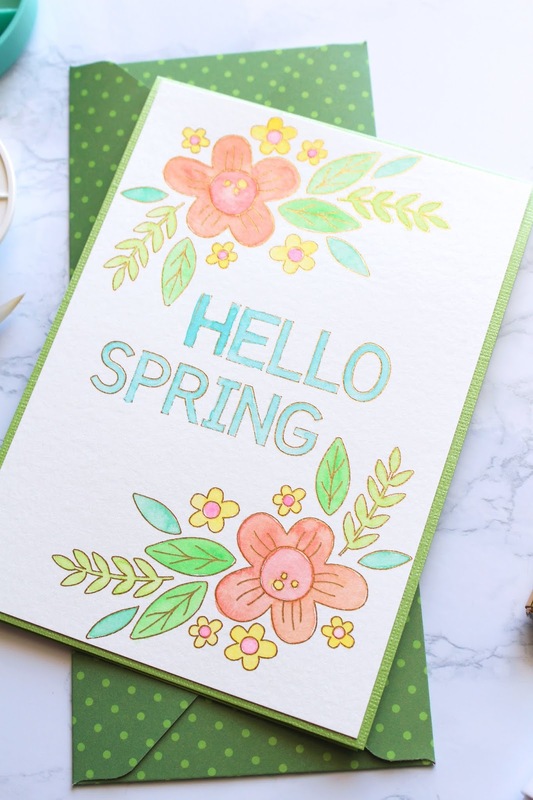 I combined these images and alphabet from Paige Evans on this card, creating a lovely spring card that measures 5x7. 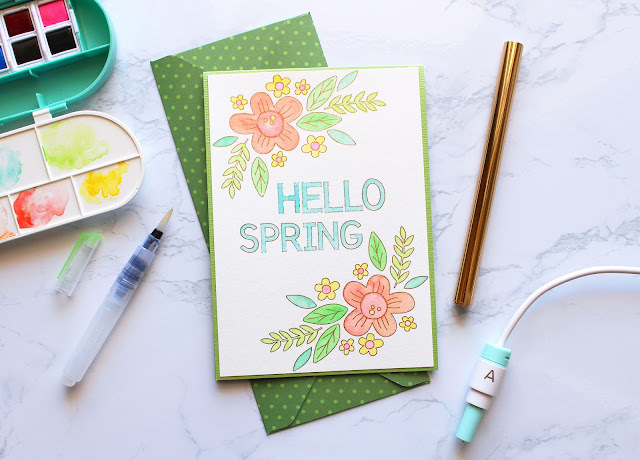 Head over to the We R Memory Keepers blog for a tutorial, tips, and tricks, and more looks at the card. And if you want to REALLY see all the shine, head to Instagram, find me @kimberlystamps, and check out my stories! Supplies used. 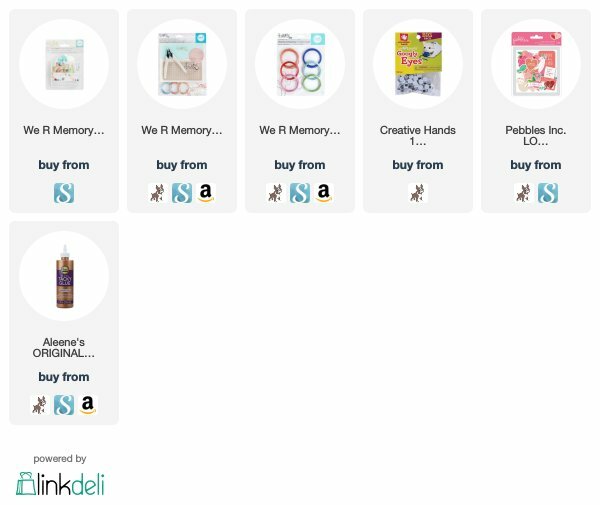 Affiliate links also used. 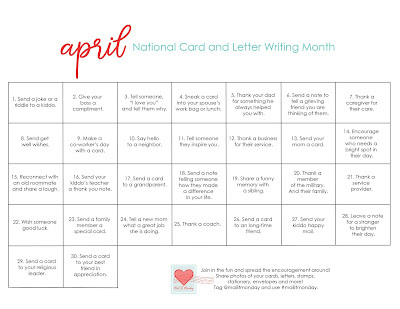 Happy National Card and Letter Writing Month!! In 2001, the United States Postal Service began this idea to encourage people to send more mail. Well, Mail it Monday can get behind that idea! 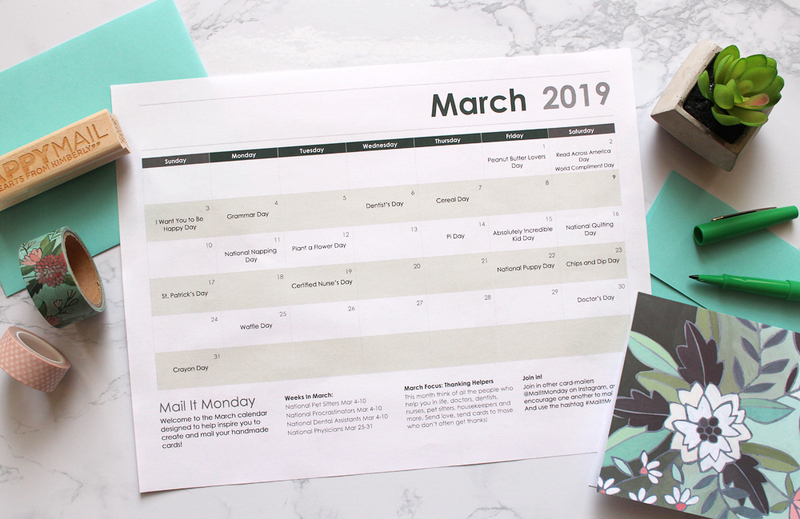 So to help you have even more reasons to send mail, here is a FREE downloadable calendar for you to use! Its full of ideas for sending cards to all sorts of people in your life. 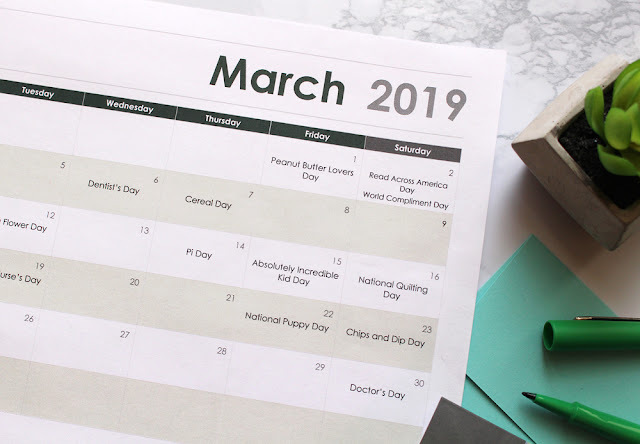 I know we now have monthly calendars, but this is a focused calendar, that honestly gives you ideas for all year long. I know some of you love a good challenge and anything that motivates you to get to that mailbox! Of course, feel free to simply save the photo, if you are more of a digital person. Be sure and follow Mail It Monday on Instagram! Simply search for @MailItMonday and click follow. 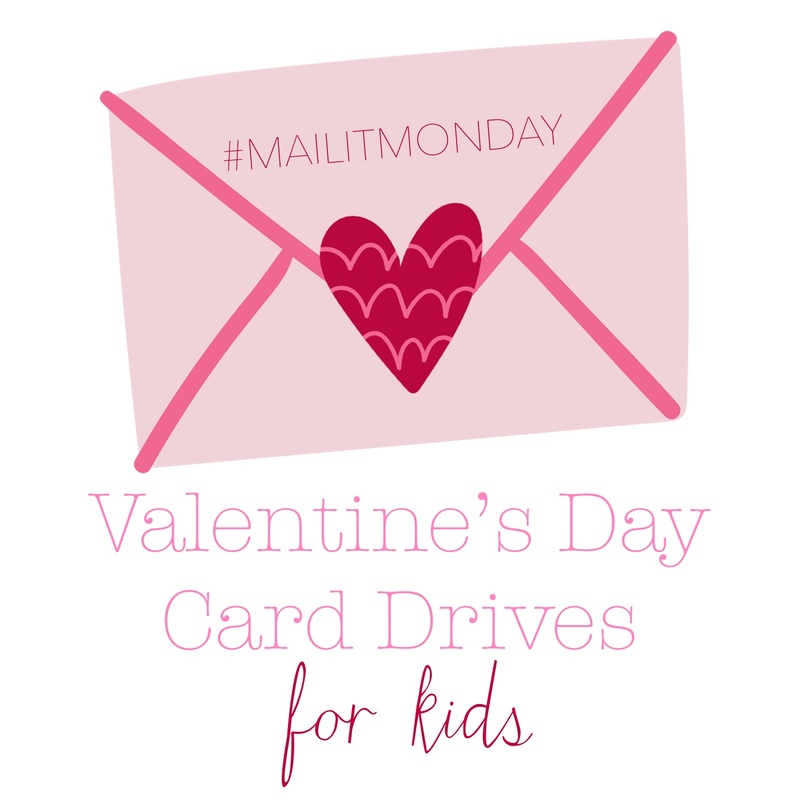 Also, if you are interested in sharing a card drive, or guest posting, or have any other creative ideas about Mail It Monday, please email me, or message Mail It Monday on Instagram. This is about growing a community of card-mailers, and you, yes YOU, are the key to making that happen! Join in! As the We R Memory Keepers Foil Quill launched at the trade show this past winter, everyone was beyond excited about the potential of this innovative tool. The Foil Quill turns your digital die cutting machine into a tool that foils! 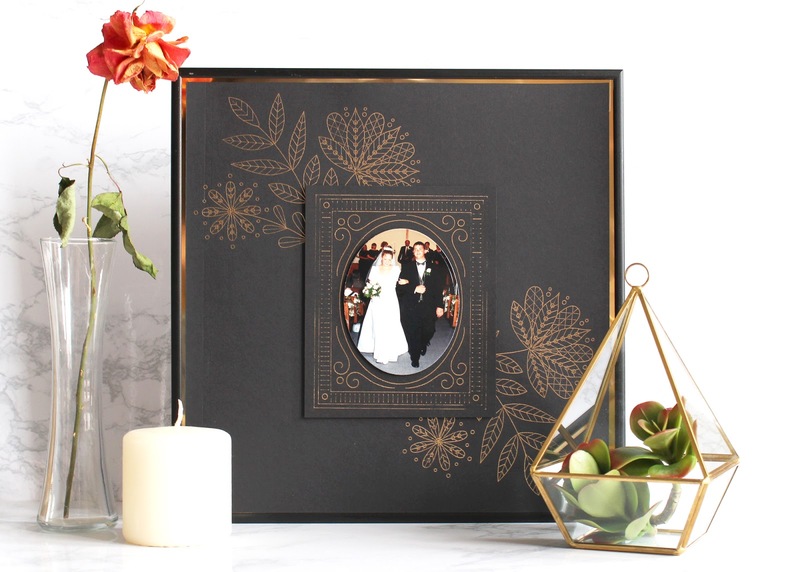 The best part is, the Foil Quill tool kit comes with adapters for the Silhouette, Brother Scan n Cut, Cricut, and the Sizzix digital machines. So you can use this tool with YOUR machine! The Foil Quill plugs into a USB-based power source (think your computer, a power bank, etc.) and heats up. Using the pen tool and set up on your machine, the Foil Quill essentially draws in foil!! 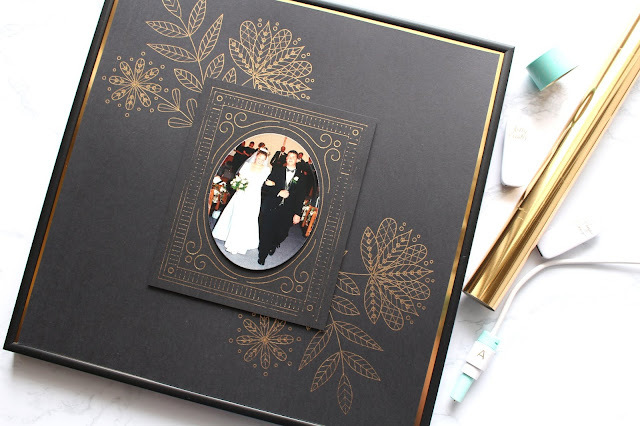 Look at the stunning results on this frame I made for the We R Memory Keepers blog! You can use the design files from your software, ttf fonts, or you can purchase thumb drives from several of your favorite American Craft's artists! Heidi Swapp, Amy Tangerine, and Paige Evans and Kelly Creates, that I used on my project here. The Foil Quill took 2 simple pieces of card stock and created a stunning frame. Impressive! Who are those two kids in that photo? I mean seriously. We were SO young. Its hard to believe it has been 20 years! 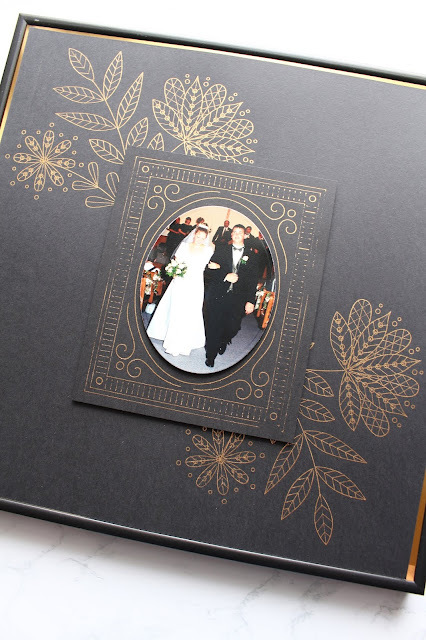 For more details on this project, visit the We R Memory Keepers Blog. To see the Foil Quill in action, along with the supplies, helpful hints, and more, follow me on Instagram @kimberlystamps. In my stories, I have added a highlight section specifically for the Foil Quill. And as always, if you have any questions, please email me at the address posted up on the right side of my blog. I love to help! Here is links to all the supplies available for the Foil Quill. -You can purchase the three different thickness of pens individually, or as a kit. I would lean towards the kit, as it has all three included, some small rolls of foil, and washi. -There are 4 digital drives of artwork from American Crafts artists, and also 2 more with whimical art and Christmas/winter art. -There are sheets of foil (4x6) or rolls that are 12" wide. All the colors are lovely! 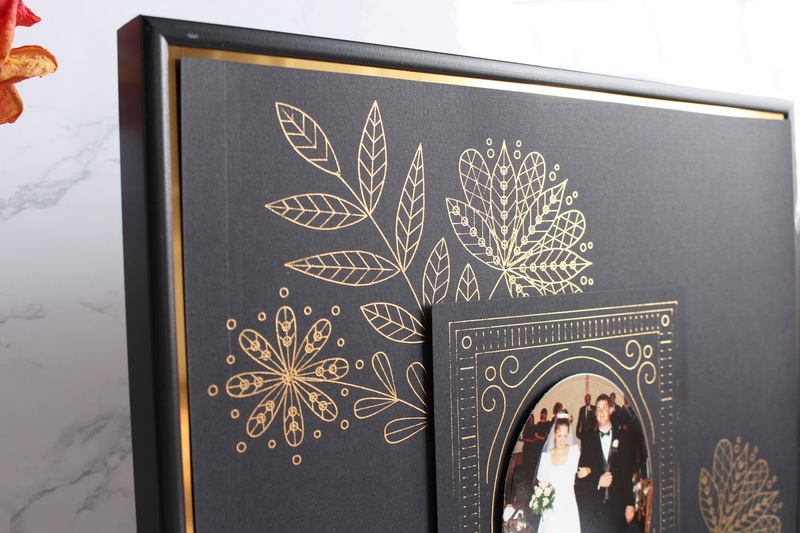 -Washi is used to hold the foil in place over the medium you are foiling. Welcome to Mail It Monday! 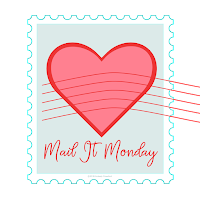 As always, Mail It Monday is a fun way to remind you to mail those beautiful cards that you have made! It doesn't have to be on a Monday, any day of the week is the perfect opportunity to tell someone that you are thinking about them and to show them how special they are! Like we always say, send love, send cards! card-mailers on Instagram by following the handle @MailItMonday. We encourage and inspire one another. Its easy to make connections also by using the hashtag #mailitmonday. Whenever you post to Instagram about mailing your cards, use that hashtag so we can cheer you on and see what beautiful creations you have made. Each and every week I love going through and connecting with those who share my heart for mailing cards. I would love the chance to connect with you! 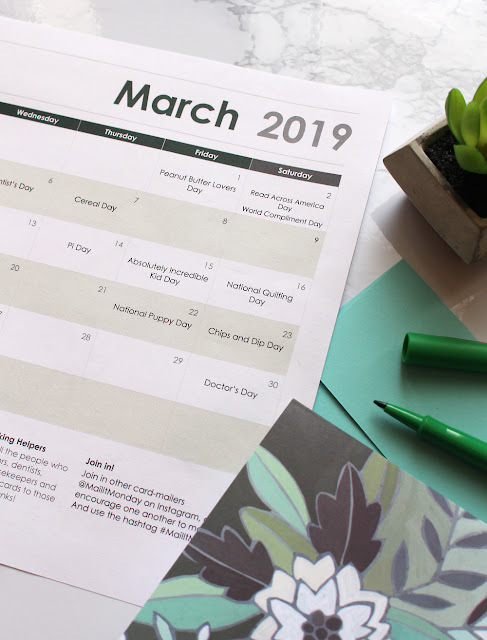 It is the last Monday of February, which means, its time for the next month of the Ultimate Inspiration Calendar for Card-Mailers! This calendar is a FREE DOWNLOAD! Yep, absolutely FREE! The idea behind this calendar is to not only inspire you to find reasons to send more cards, but also to inspire your creativity. Some days are serious, some days are totally silly. But it is all about fun! March's theme is Thanking Helpers. This month we can take the opportunity to thank those who help us, but don't often get thanks. Doctors, dentists, nurses, pet sitters, housekeepers, and more. While yes, these people are paid helpers, more often than not, we have a relationship with these people. In my own situation, I work very closely with my rheumatologist. I spend a lot of time with him and his nurse. They help me immensely and I know it is their job, but they need to know that I appreciate their time and care. They truly go above and beyond. This month is my chance to surprise them with my sincerest of thanks! 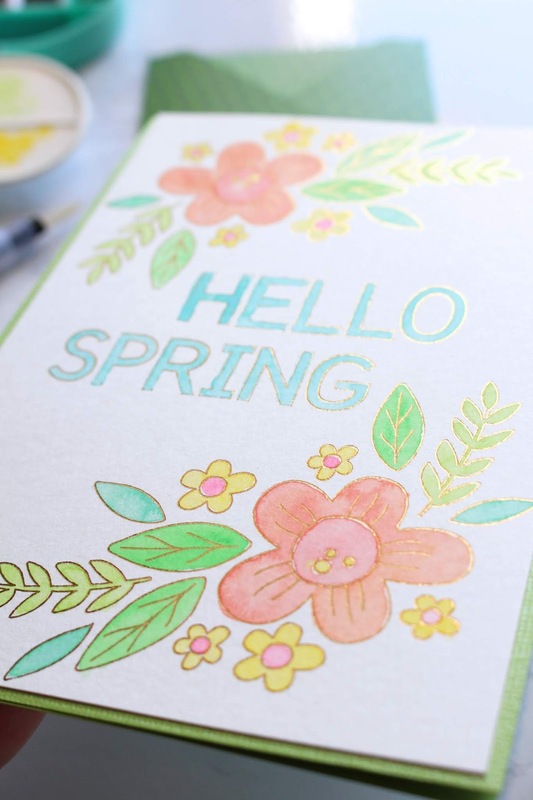 I look forward to seeing what you create and mail this month! Be sure and tag Mail It Monday and use the hashtag, so I can find it! Happy card-mailing! If you missed any of the previous months, here are links. In the January post there is also a cover page for your calendar. It really is no secret how much I love to bake and make fun foods for the holidays. Even my teenager still gets a kick out of my silliness! 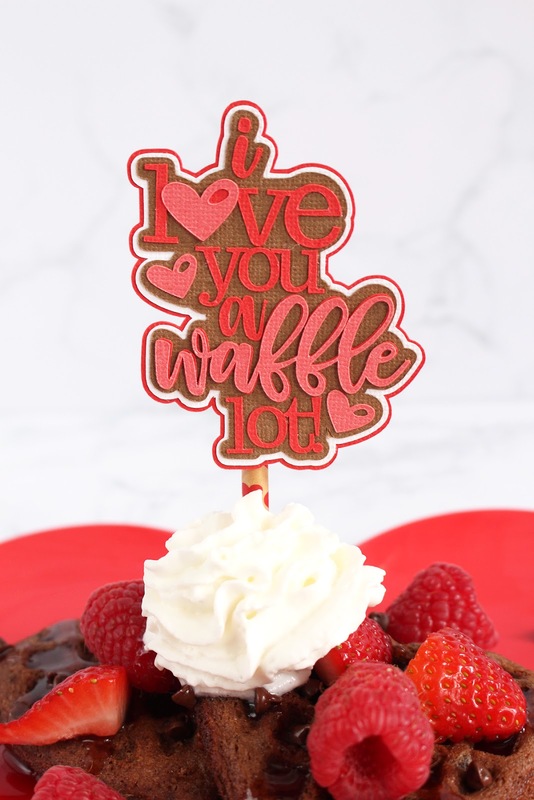 When scrolling through the Silhouette Design Store, looking for Valentine's Day designs, I came across this adorable cut file and knew that I HAD to purchase it immediately. That, and a heart-shaped waffle maker. I know, I am a giant kid at heart and slightly ridiculous! Before making the waffles, I used my Silhouette Cameo 3 to cut the image out. I repeatedly cut the file's parts from different colors of cardstock. When cutting a file with many layers, but one set of images to place on the design page, I remove the extra layers. For example, the words on this image did not need to be cut from the brown. Knowing that, I simply ungrouped the images, deleted the extras, and sent only the background portions to be cut. It saves time and paper. To cut the portions I wanted in red, I simply opened the image again, ungrouped, removed the images I did not need, and sent it to be cut. After all my images were cut, I glued them together. These images all fit so nicely on the design, but to help myself line things up, I referenced the image in the Silhouette Design Store. Who wants to come over for Valentine's Day breakfast? Welcome to a special mid-week post for Mail It Monday. Valentine's Day is quickly approaching. I remember, with a lot of fondness, getting Valentine's from classmates through the years. It was a wonderful tradition that made a fun day as a child. Unfortunately, many children do not get to experience this tradition, or miss out on the day this year because they are currently under care at a Children's Hospital. Many of these hospitals around the country have a place where you can send a card to a child. This is done differently than a standard card drive. These children are very ill and cannot be exposed to outside germs or toxins or anything environmental. Because of these factors, the hospitals have set up a way for you to send a card digitally. The child will receive an actual card, but it will be under their strict care guidelines. 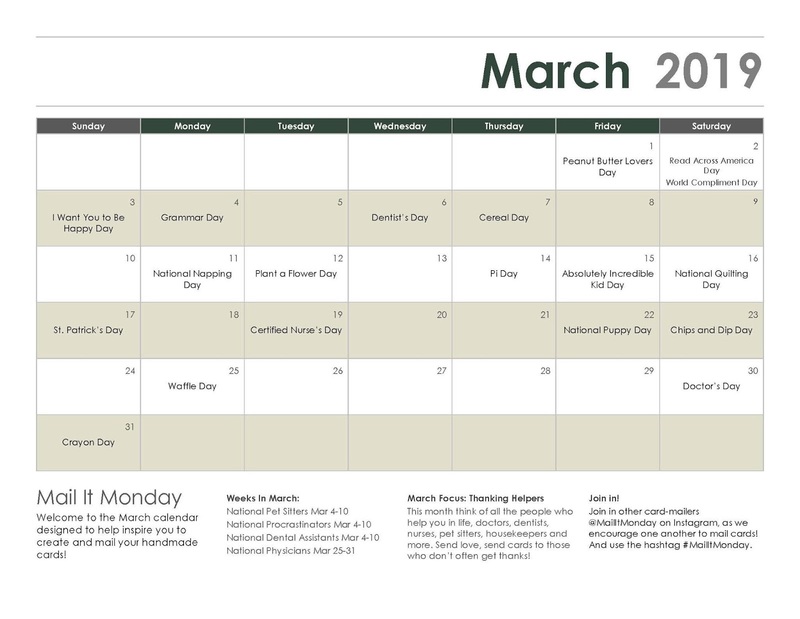 I have found a list of several hospitals participating in this sweet and thoughtful idea and am sharing it with you today. I love how this works with our send love, send cards motto! 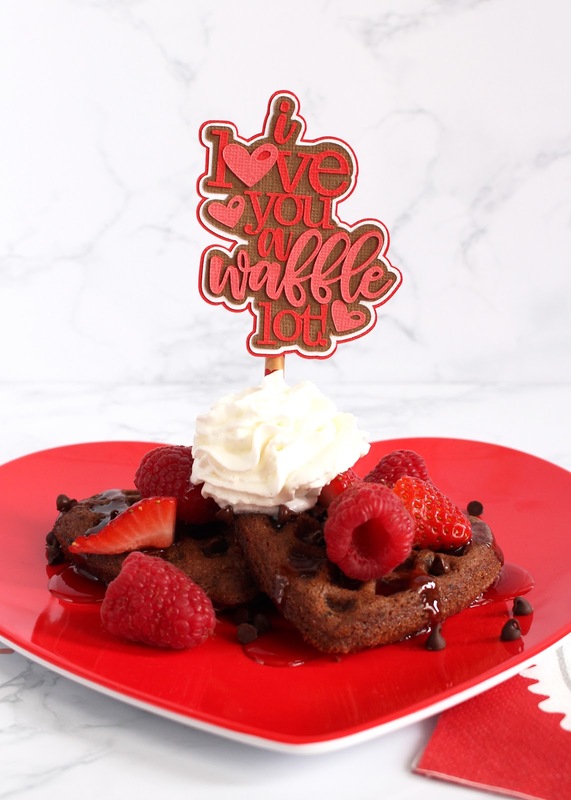 Choose a design and they will print and deliver the card. They are so busy, that their system is slow in responding with a confirmation. How wonderful! They will print the card for FREE and deliver it to a child. Same idea from this hospital, but Party City has come along side them and will be donating $1 to the hospital for each card sent! Again, FREE. Children's National in Washington, D.C. Choose from 3 adorable designs. Once again, they will take care of printing and delivering for FREE! More Valentine's. These will be posted in the hospital for all the patients to see. FREE. 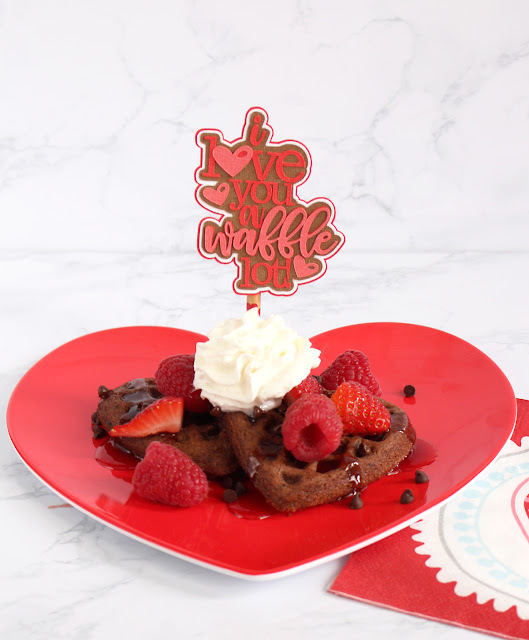 These Valentine's were inspired by patient art and you can also write your own message. FREE but they encourage a donation to the hospital. 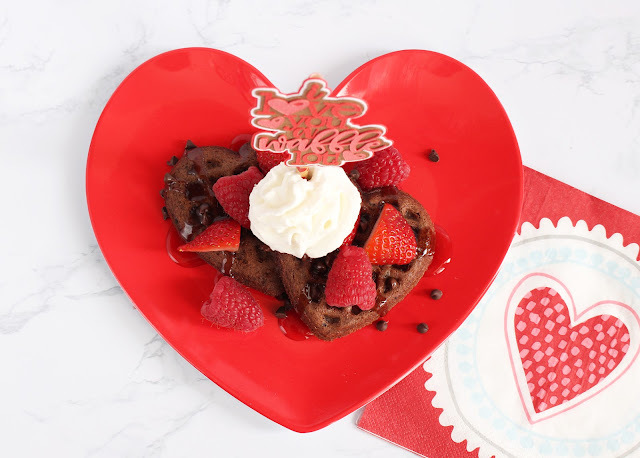 Suuuper cute farm-themed Valentine's. FREE. Space themed Valentine's, again printed and delivered for FREE. This hospital will accept art supply donations this Valentine's Day. They must be brand new and in their original packaging. Visit the link for more details. I hope you are as excited about this opportunities as I am! What a wonderful thing to be able to participate in-even your children or grandchildren can be involved! Don't forget to join us @MailItMonday on Instagram. 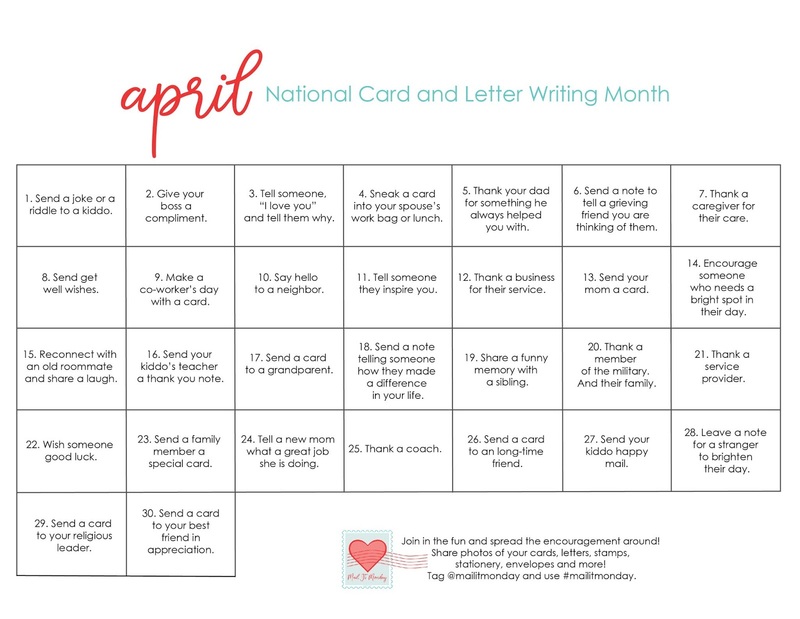 We would love to see you in our card-mailing community as we grow each and every week! I don't think the word "bug" describes these cuties appropriately! At all! Because they are so stinking cute!!! Remember these from when you were a kid? 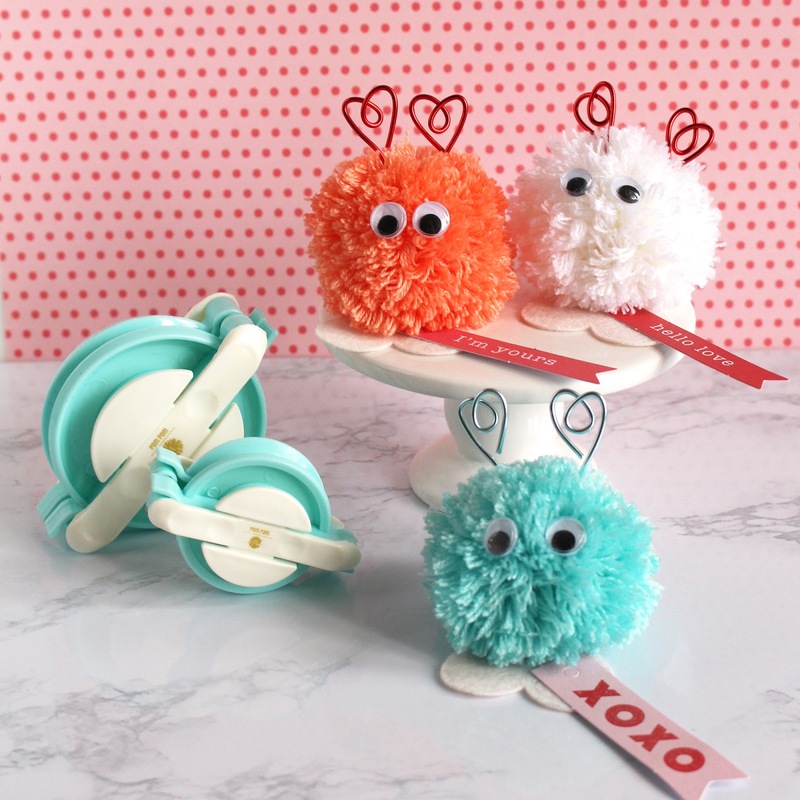 The pom pom with the feet that were a sticker? Oh, they were so much fun! With some of my We R Memory Keepers tools, I just HAD to make some of my own! I started with the medium Pom Pom maker and some soft yarn I found at Michael's. 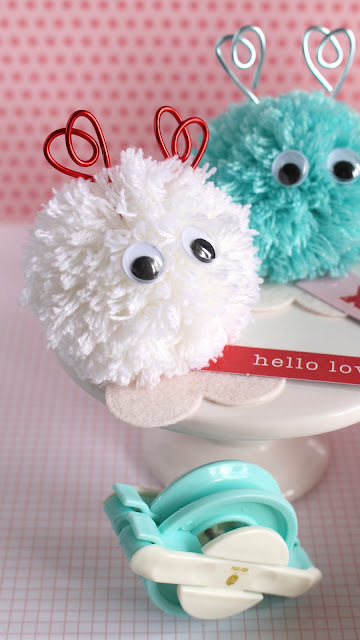 The pom poms are easy to make with this little tool and I was surprised at how perfectly they turned out. Sure beats trying to make them with your hands! Seriously, how can you not smile?!?! 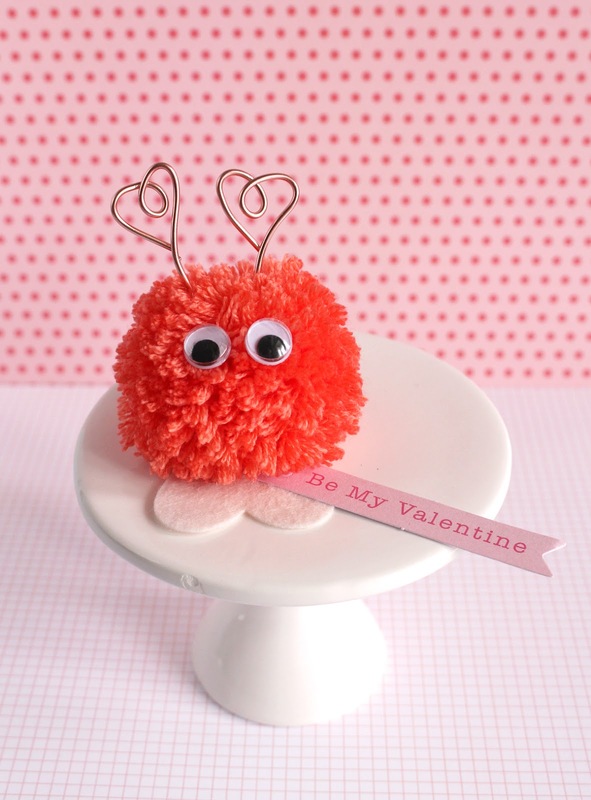 The heart-shaped antennae were created with the We R Memory Keepers Happy Jig. This wire-shaping tool is fun. I placed three pegs in the board in a triangle shape and wrapped the wire around it, to create the heart shape. I placed the end of the wire down in the glue, making a very thick coat. Then I placed the wire down in the pom pom. It held in place beautifully, especially if I held it in place for a few seconds. 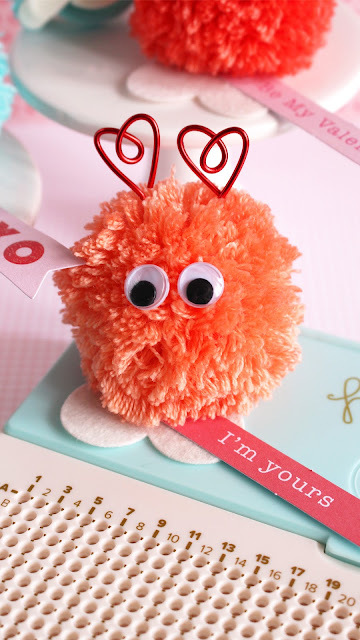 I finished my new fuzzy friends off with sweet Valentine's Day tags from the Loves Me Collection from Pebbles. I wish I could hand you the whole pile of them and watch you smile! Oh, and a note to your future self, never, ever, under any circumstances purge your googly eyes from your crafty stash. Don't do it. Because the minute you do, you WILL need them. Ha! Supplies. Affiliate links used. Thank you for purchasing via my links! All content, including text, photographs, and samples are copyright 2019 by Kimberly Crawford. They are shared here for your personal, non-commercial use, this includes contests, submissions, and publications. Any other use requires my written permission. Thank you.